The Sun and Venus transits your 6th House of daily routines, fitness, health matters, pets, employment, work, associates and repair and maintenance issues throughout the Suns transit of the emotional, intuitive and sentimental sign of Scorpio until 11/22, Gemini, when the Sun exits Scorpio and enters your 7th House of marriage, legal contracts and professional associations. Venus (Love and Money) begins the month in Scorpio, your 6th House of daily work and your everyday routines where it shines a positive spotlight on these areas. You can expect to be the recipient of appreciation and admiration when it comes to the way you conduct yourself in these areas. Your health could be a serious focus and you can expect to hear compliments about your appearance and you receive praise for work performed on a daily basis. If single, you could also meet someone through your job that could be a serious potential romantic prospect. On 11/16 - Venus enters your 7th House, bringing about a greater closeness and/or commitment in an ongoing romance. Single or coupled, you could hear from an ex-love or be dialing up one. If coupled, you and a partner become closer in an ongoing relationship or take a new relationship to the next level in some way. Single Gemini can expect to meet a new love interest throughout Venus in Sagittarius. Couples may decide to make radical changes in their relationship. A marriage or commitment may involve a domestic adjustment or brings the possibly an overseas trip or the planning of travel. A desire to take charge of your love life overtakes Gemini this month, especially once Venus enters your 7th House of marriage.Special to Gemini: Try not to bring issues from the office into your home life this month, Gemini. It could seriously back fire! 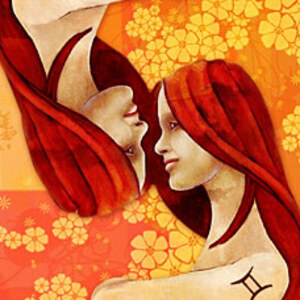 There is also a strong possibility of a domestic adjustment for you this month, Gemini! Home issues and romance go hand in hand, if single!